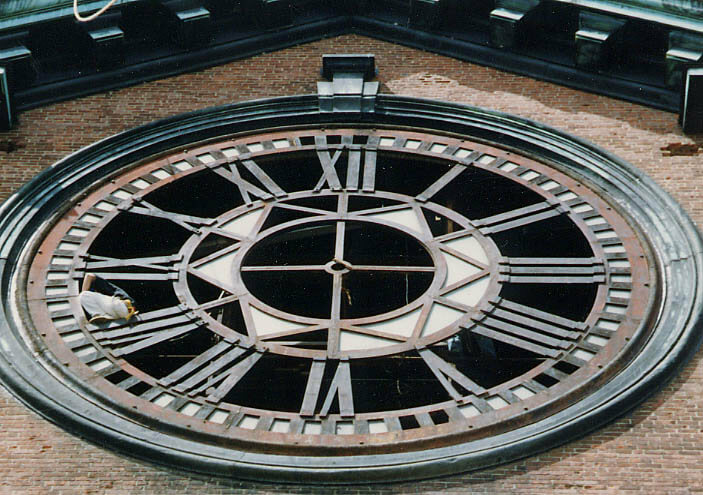 Standing securely at 267 feet tall, the Ayer Mill Clock Tower is the largest mill clock in the world, and a landmark for the Merrimack Valley. 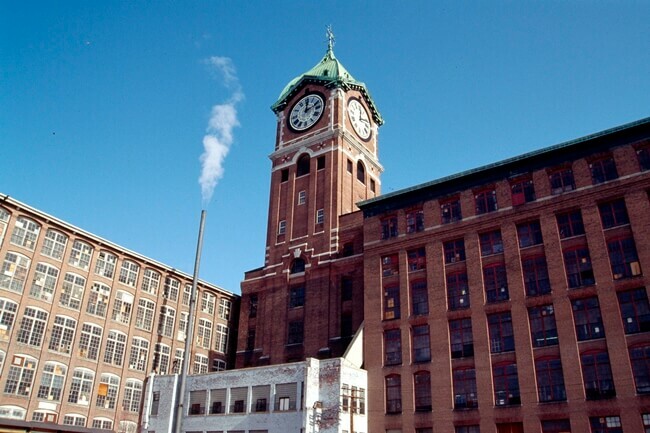 The tower itself was completed in 1910 as the crown jewel of the Ayer Mill, part of the American Woolen Company’s collection of mill buildings. 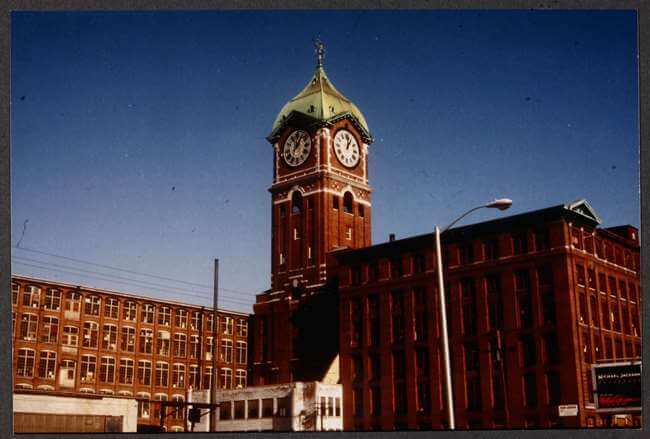 The Ayer Mill operated for the next four decades, slowly shrinking in production as mill companies moved to Southern states with cheaper labor until it closed its doors in 1955. With the collapse of the textile mills, it fell into disrepair. 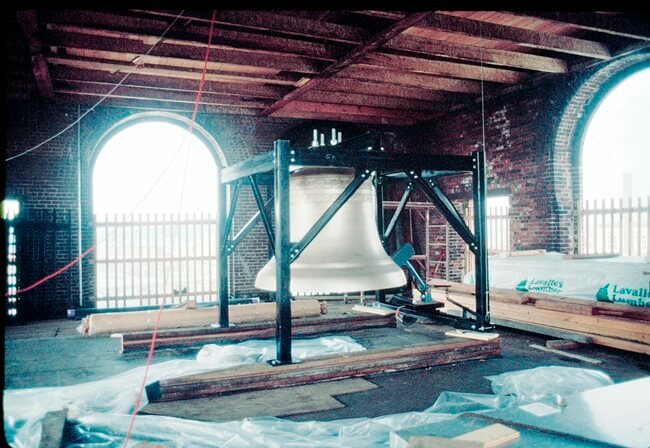 The bell had disappeared from the tower, the glass in the dials was broken, rain had destroyed the original beadboard ceiling at the bell level, pigeons were nesting from the cistern level to the top of the tower, and the original clock no longer functioned. 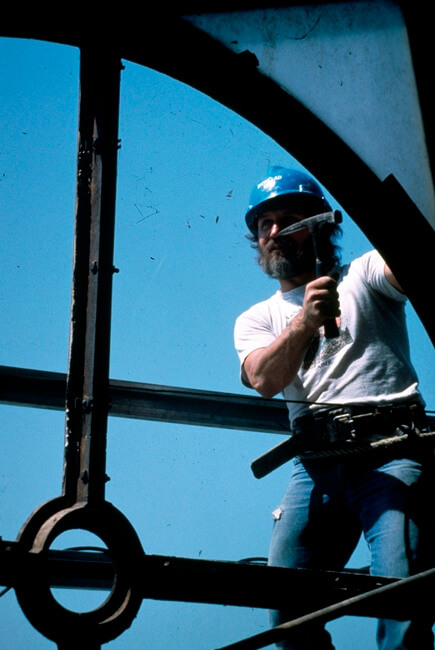 Like the city of Lawrence surrounding it, the Ayer Mill Clock Tower was in decay. 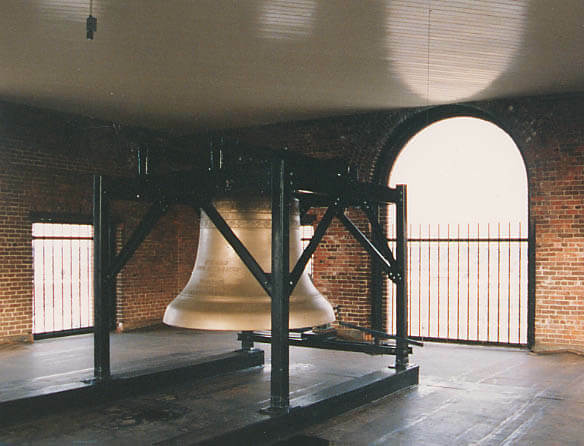 The Greater Lawrence Community Foundation determined that the tower could be returned to its former grandeur, and proceed to raise funds for the restoration. Over $1 million was raised and put towards breathing life back into the symbol of Lawrence. 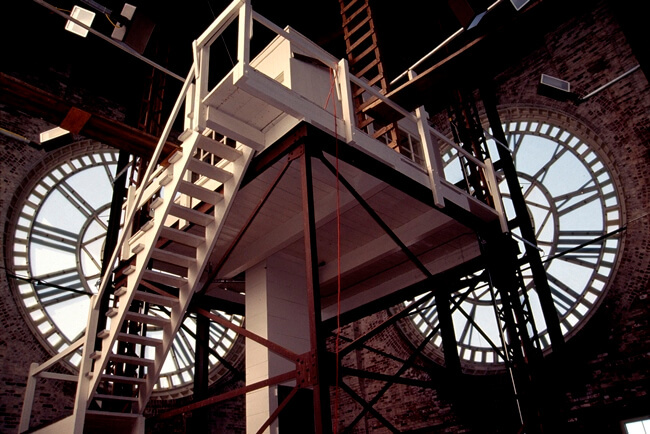 Much of this work took place on swing stages designed for the work by Rich Muckle. 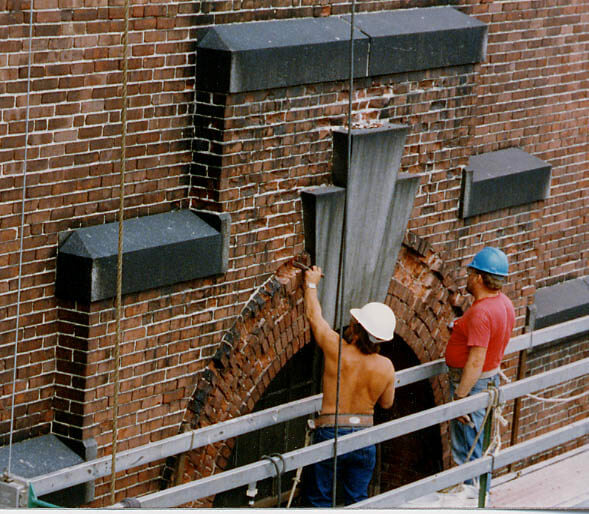 To accommodate the swing stages, masons carefully toothed out brickwork on either side of each clock face and swing stages were hung at each side of the 44’ wide tower. 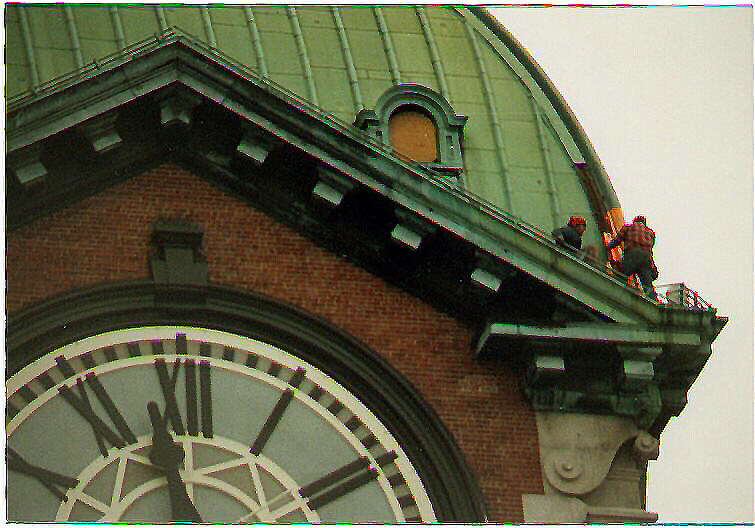 Rich also engineered the lifting and rebuilding of the clock house. 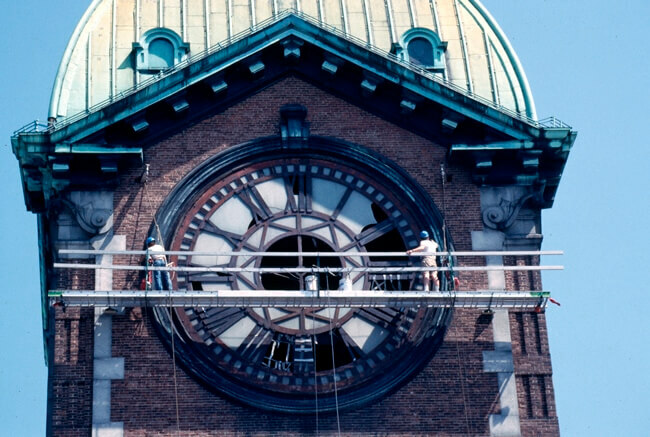 The Essex County Community Foundation is charged with the continued maintenance of the clock works. 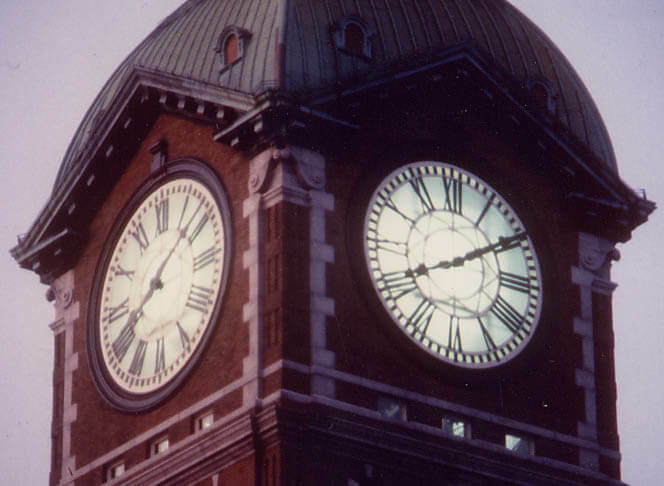 An endowment supported by local foundations and businesses such as New Balance and the Wood and Ayer Families ensures the continued operation and appreciation of the Ayer Mill Clock Tower for future generations.